The world is constantly reshaping the way we live and manage businesses. The fast moving and potable technology is widely applied not only to our everyday life but also to the various business needs. In this connected world, customers have the expectation that users are connected at every touch point, and are abandoning those companies who failed to evolve. In fact, mobile technology has become the crucial channel in many sectors. Almost every company needs mobile apps that enable customers to manage order, interact with sales, marketing or to plan a visit. As per the need of the hour, every sales representatives wants to access their contact database information in their pocket device. Customers asks a mobile experience that is not only efficient, effective but also pleasant to use i.e., user friendly. Similarly agricultural sector has also undergone a plethora of changes with the development of technology. 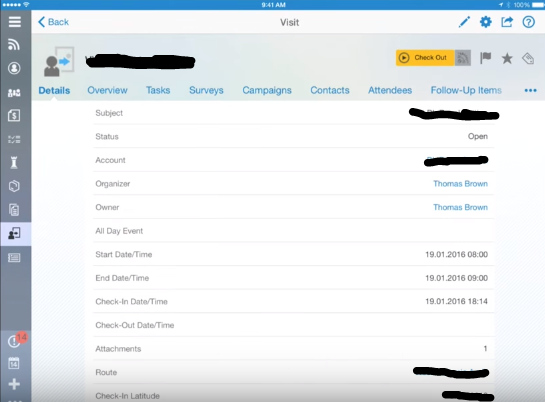 The ability to provide support via visit and contact management has been an important component of SAP Hybris Cloud for Sales since the initial product launch, several years ago. Also, it is an area that has never stopped evolving and expanding in scope, becoming over time increasingly flexible and sophisticated. For sales representative in agriculture, a mobile application will be selected to support visits to distributors, retailers and farmers and the resulting activities. It is always a challenge for a sales-rep in terms of being efficient in saving the time on traveling and by choosing which client needs more attention (valuable customers) and apply the right criteria to plan the smartest route, hence definitely needing a smart application which caters and manages daily visits and route planning. 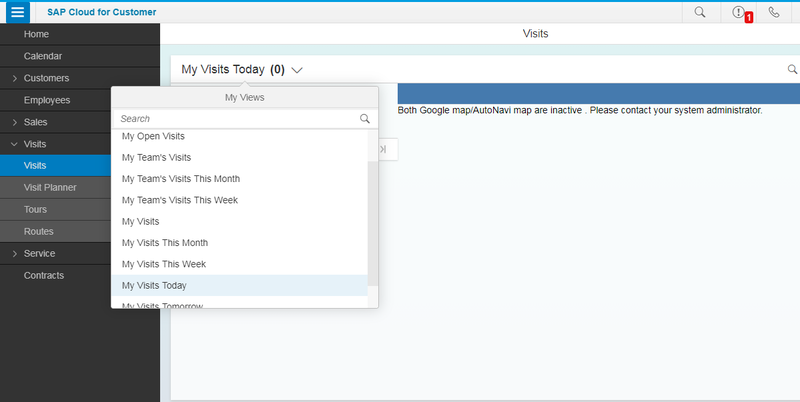 Map feature enables the sales rep to prioritize further including the driving directions. It provides real time updates in terms of traffic congestions. Considering all the routing parameters, visits can directly be generated from the routing plan itself which gives flexibility for a sales rep to avoid any extra or manual efforts. 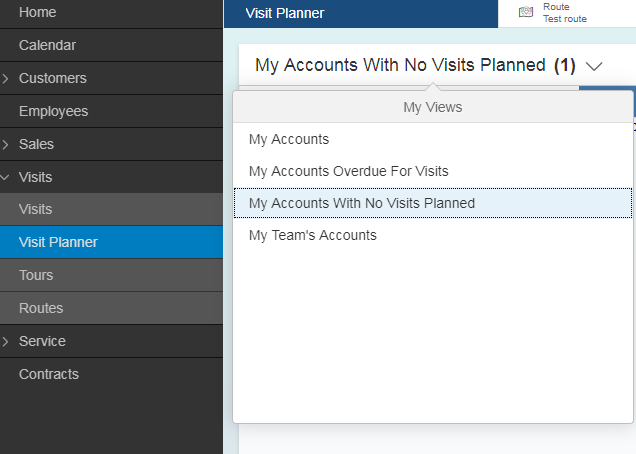 Sales representative can directly check the entire lists of the visits in the visit planner and provides the list of visits which are overdue and needs attention. The functionalities can optimize the channel management. The feature is also being used in the retail execution and can be leveraged as part of the Channel Management (in making new distributors and also encouraging new retailers to sell the company’s product. Once sales rep has visited the distributors, he has the feature to check in his mobile device as part of the visit and the details are captured as part of latitude and longitude details – Geo update, on refresh the sales rep can access the complete details of the distributors in terms of the sales volume, performance inductors and type of customers (Star Distributors – part of account and contact management functionality). During the visit, sales rep can update the inventory stock present with the distributors and update it to understand and have a clear picture of stock liquidity. If needed, order can be placed and the deals can be closed to sell any ancillary or subsidiary products. If company has planned any particular tasks and surveys which is needed during the visit, it can be captured in the visit transaction itself. Survey helps the sales rep to understand the market demand of the products, if farmers are asking company’s product and on what basis the farmers are choosing which agri-product to buy (is it on Retailer’s influence or it is based on the marketing campaign done at the farmer end) specially when a particular campaign is already launched (say more farmer meeting has been organized before the seasons). If distributors/retailers have received any complaints about the product from the farmers, a service ticket can be created as part of the follow up activities of the visit, if needed picture of the product serial number can be captured as attachments. Cloud of Customer- Visit management can capture creation of new opportunity, sales quote (with the feature of adding digital signature) and visit, if needed, as the follow up activity of the ongoing visit. Once the visit is completely checked, the sales rep can check-out from visit and can plan for the next visit. The visit management can be used by agri-business management as promotional activities like organizing farmer meeting and much more. Hence the functionality can help greatly reduced the distance between the manufacturer and the end farmers.